This new bundle features a vast array of best-selling textures and patterns, each specifically designed to give your work more impact. 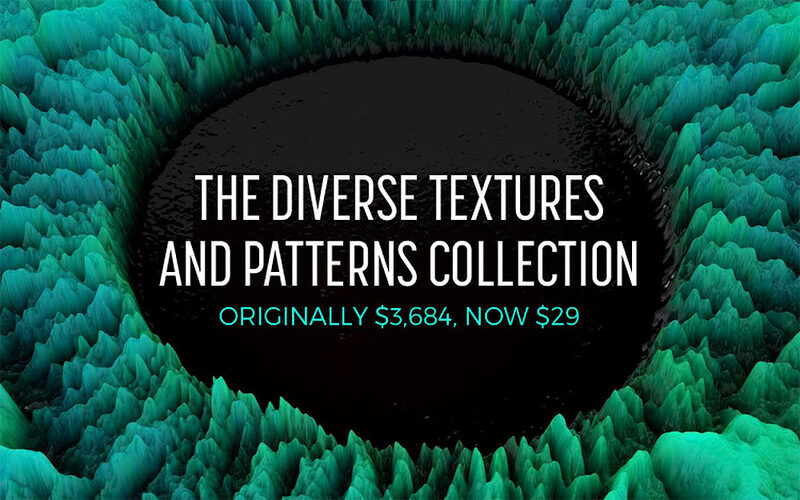 This collection is the most affordable way to take your textures and patterns library to the next level, with a 99% discount the regular price of $3684 is reduced to just $29 for a limited time only. The depth and quality in this collection is amazing. From high-res space images, to delicate patterns, marble, glitter, leather, grunge, watercolour and so much more, this is a truly comprehensive library. All textures are high-res, sharp and beautifully versatile. The patterns are pixel perfect, gorgeous and ready to be dropped into your designs.